In The Return of the Real Hal Foster discusses the development of art and theory since 1960, and reorders the relation between prewar and postwar avant-gardes. Opposed to the assumption that contemporary art is somehow belated, he argues that the avant-garde returns to us from the future, repositioned by innovative practice in the present. And he poses this retroactive model of art and theory against the reactionary undoing of progressive culture that is pervasive today. 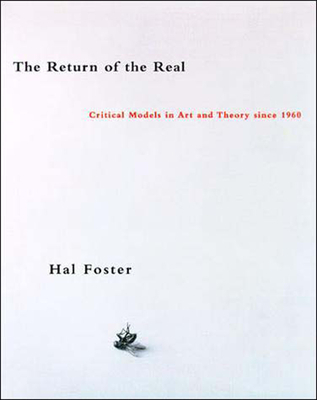 After the models of art-as-text in the 1970s and art-as-simulacrum in the 1980s, Foster suggests that we are now witness to a return to the real--to art and theory grounded in the materiality of actual bodies and social sites. If The Return of the Real begins with a new narrative of the historical avant-gard, it concludes with an original reading of this contemporary situation--and what it portends for future practices of art and theory, culture and politics. Wing Thye Woo is Senior Fellow, Foreign Policy, Global Economy and Development New Century Chair in International Trade and Economics at the Brookings Institution.